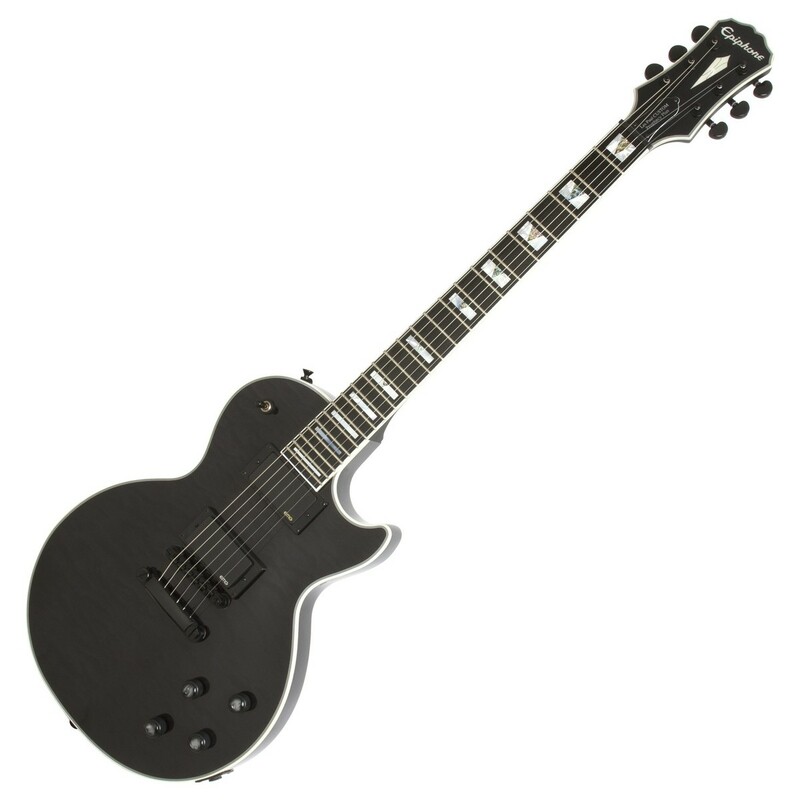 The Epiphone Prophecy Les Paul Custom+ EX, Ebony featuring EMG Humbucker pickups and designed for metal shredders, the Epiphone Prophecy Les Paul Custom Plus is a modern guitar which comes in a Midnight Ebony finish - perfect for contemporary rock and metal players. The Prophecy Les Paul Custom Plus EX is designed for metal shredders, and includes an elegant mother-of-pearl and abalone block and triangle inlays and individual volume and tone controls for each pickup. This guitar boasts a mahogany body with a beautiful quilt maple veneer top. The super-fast mahogany neck has a SpeedTaper™ D-profile with a satin finish and a 24.75" scale. On top is the nice ebony fingerboard with 24 jumbo frets. This guitar comes in a nice Midnight Ebony finish. 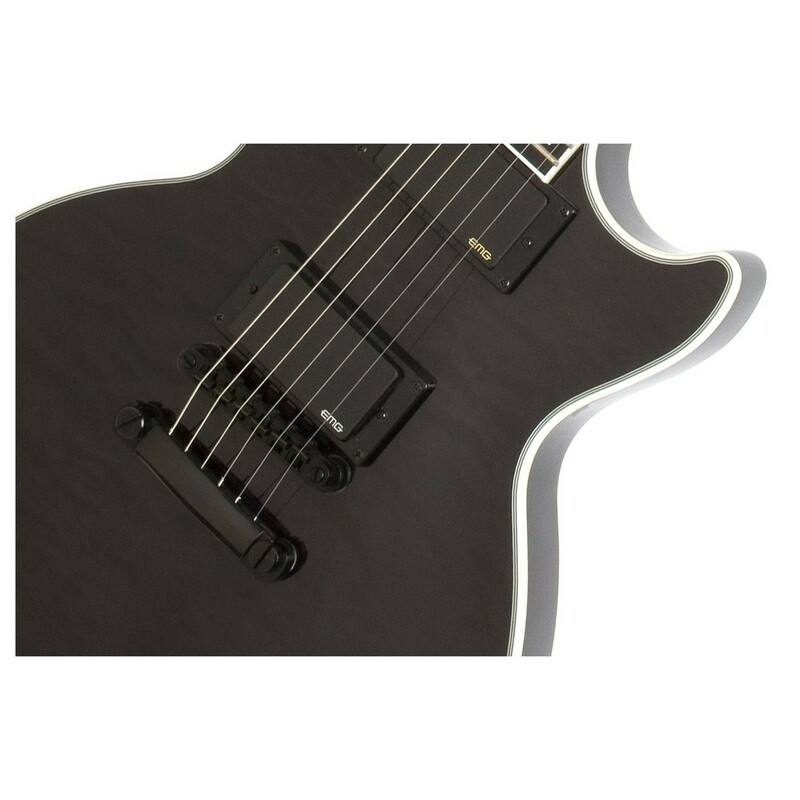 The Prophecy Plus EX is equipped with an EMG 85 humbucker in the neck position and an EMG 81 humbucker in the bridge position. Expect high volume and beefy tone from these pickups which have been a favourite among the world's top metal players, including Zakk Wylde. Each pickup design has close aperture coils with Alnico V magnets, providing smooth tone. 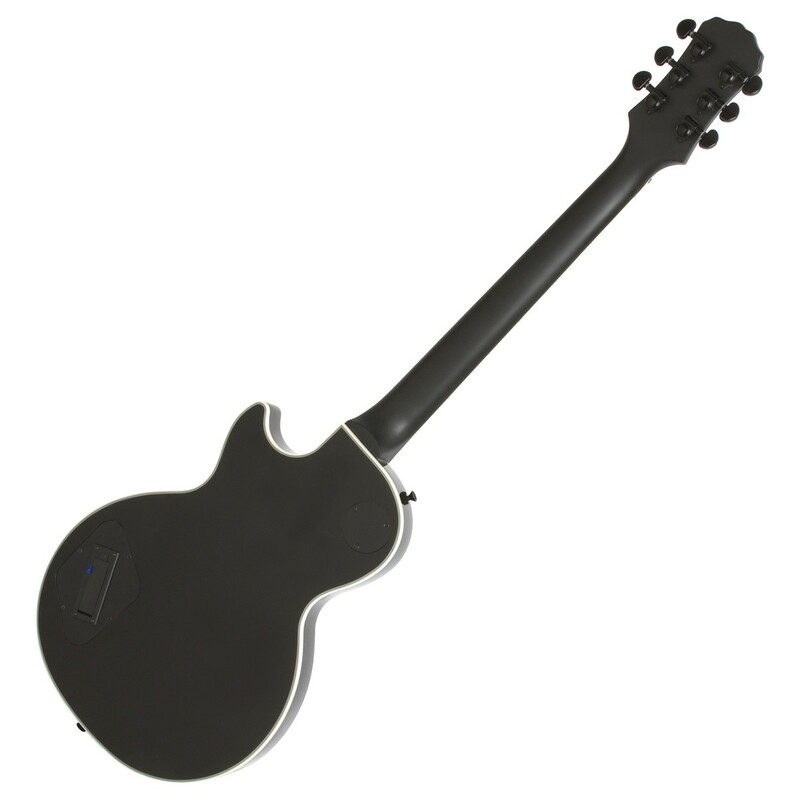 This EX features individual volume and tone controls for each pickup. The EMG pickups are powered by a 9-volt battery which is conveniently located in the back of the guitar for easy access. 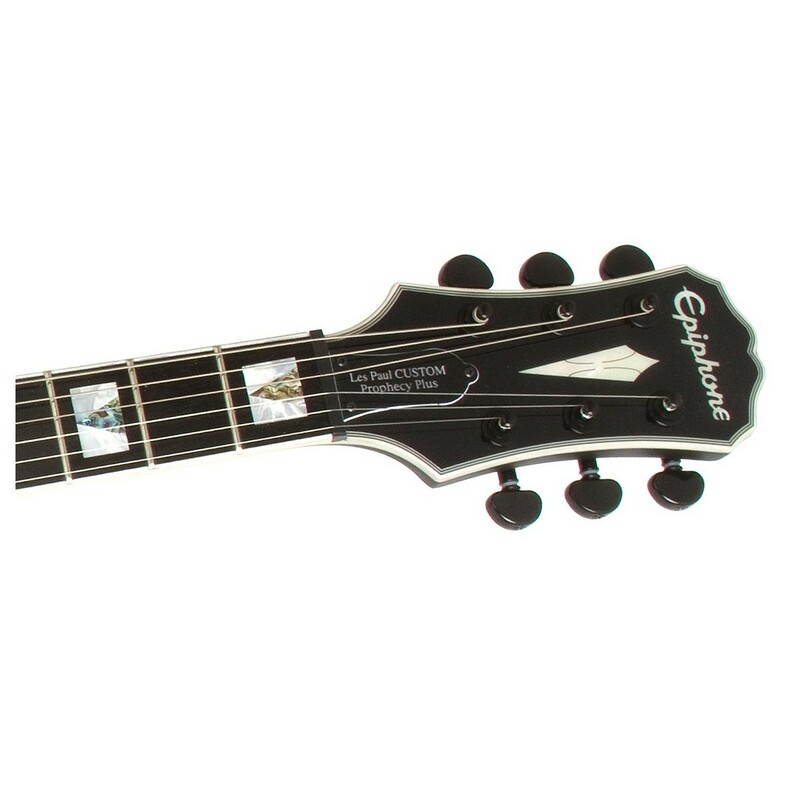 The EX has black metal barrel controls with mother-of-pearl inlaid tops, Epiphone's legendary black LockTone™ Tune-o-matic bridge and LockTone™ Stopbar tailpiece. 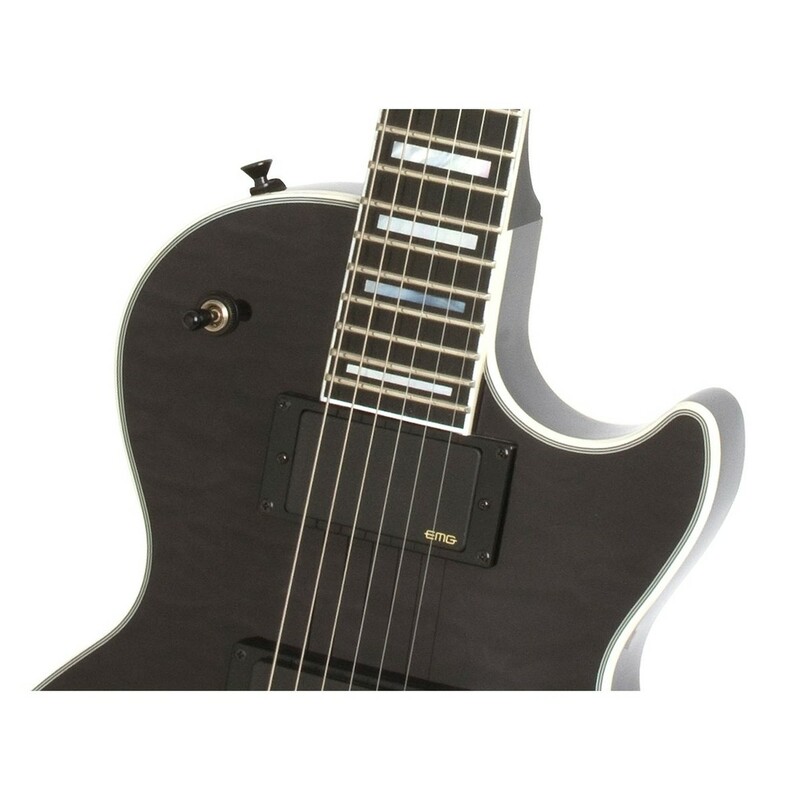 It features an Epiphone exclusive non-rotating heavy-duty output jack and black Epiphone Straplocks. The black Grover® machine heads have a 14:1 ratio, allowing for incredible tuning accuracy, like on very best Les Paul guitars. 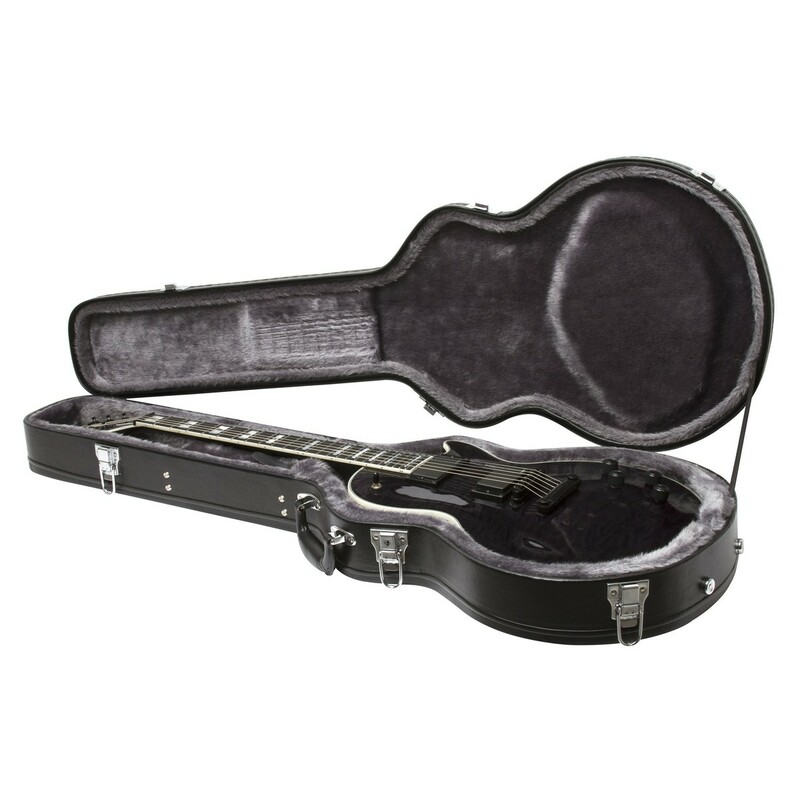 This guitar also comes with a hard case to carry it around in!